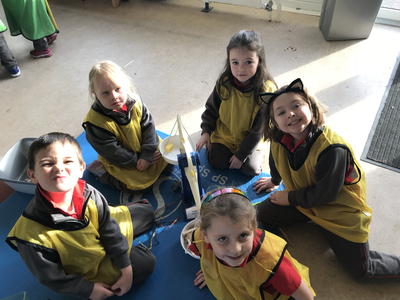 We enjoyed designing and making boats. 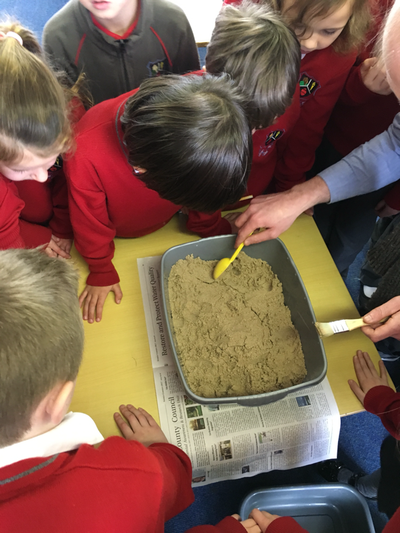 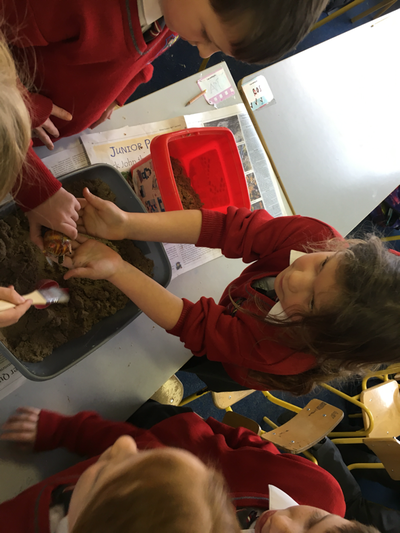 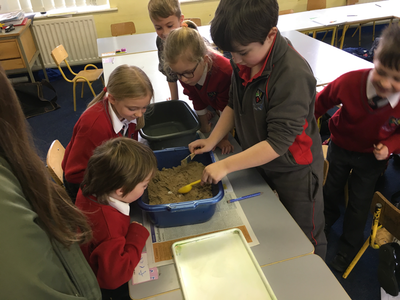 We became miniature Indiana Jones’ during the week as we studied archaeology in class. 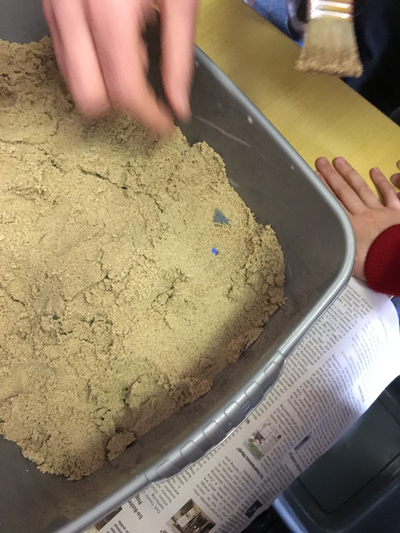 We dug for artifacts and brushed them off in case they were fragile. 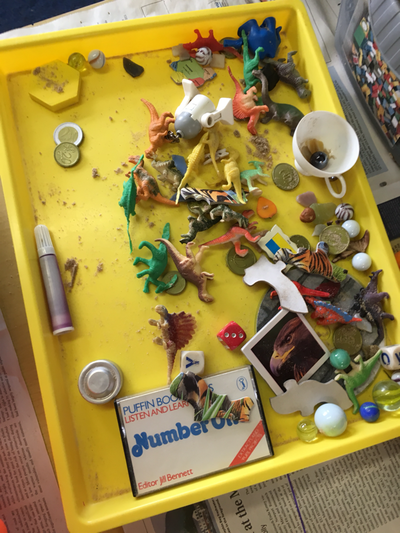 Amongst our finds were an old £1 note from 1989, an old R2-D2 toy from Star Wars and a cassette tape. 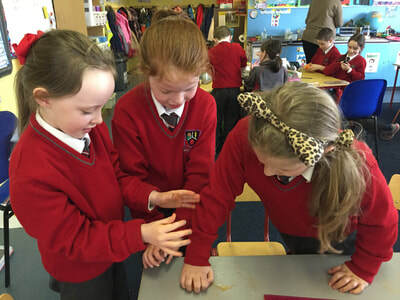 Not even one of us knew what a cassette tape was! 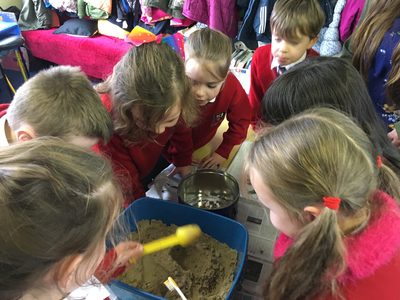 We also found lots or rocks, marbles, buttons, coins, jigsaw pieces, an orange and much more. 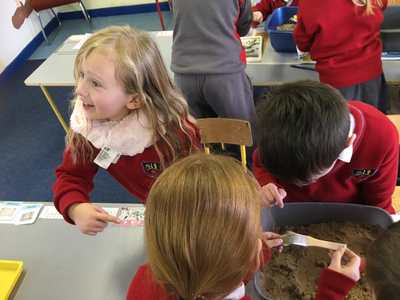 The only thing we didn’t find was dinosaur fossils. 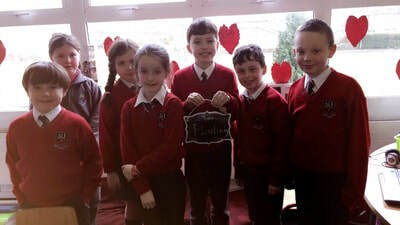 Next time perhaps! 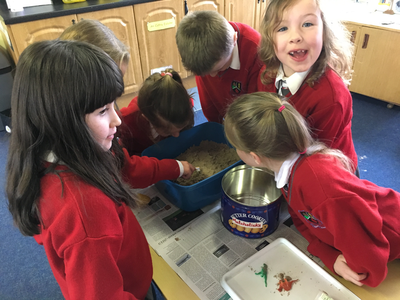 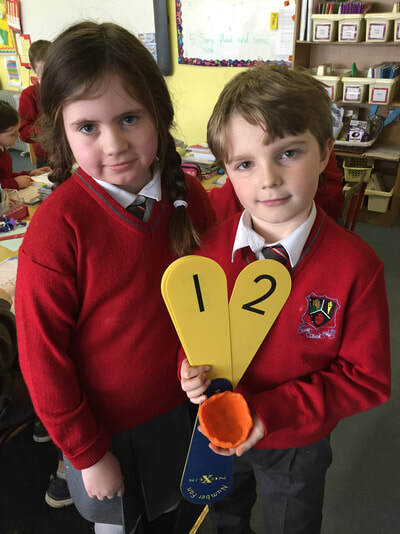 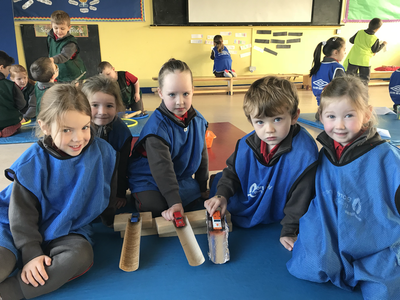 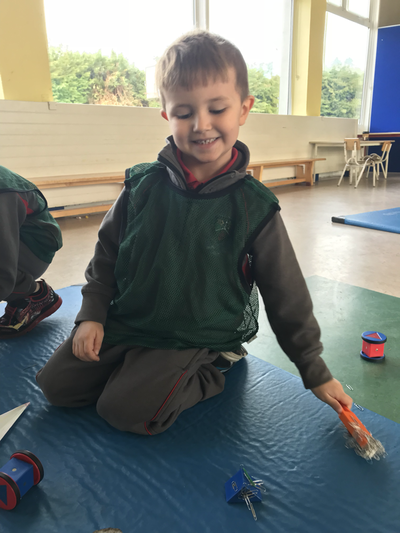 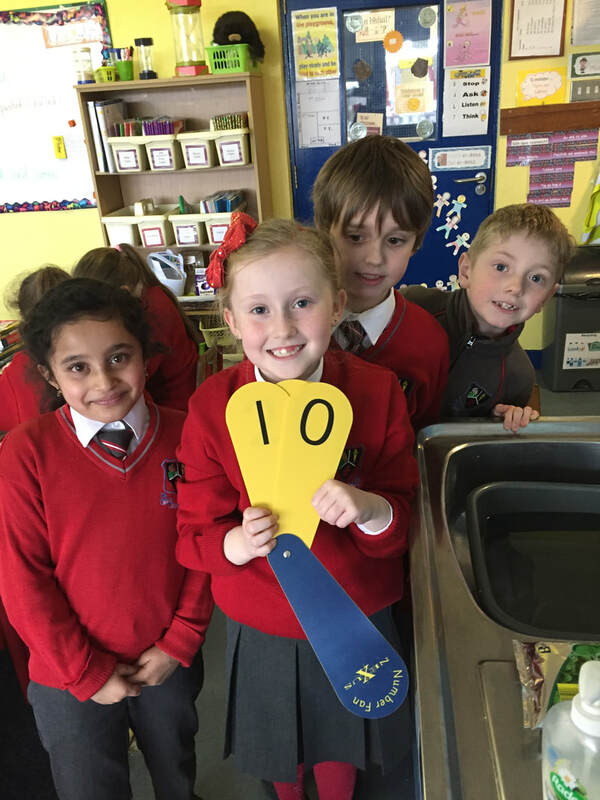 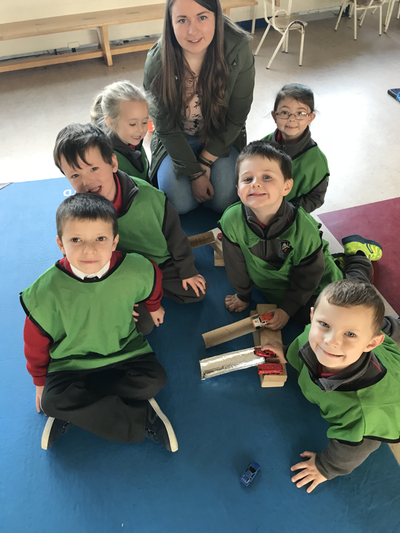 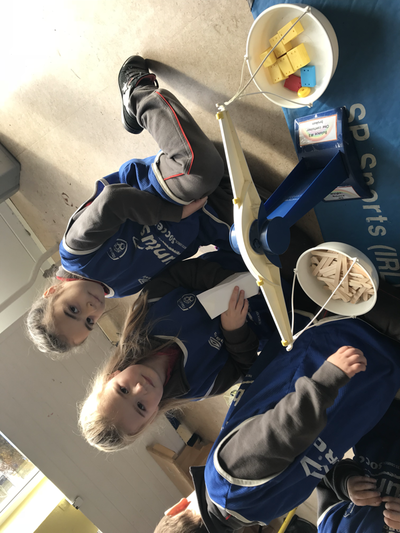 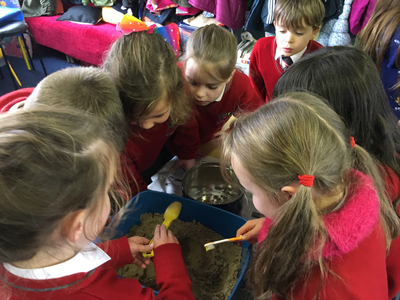 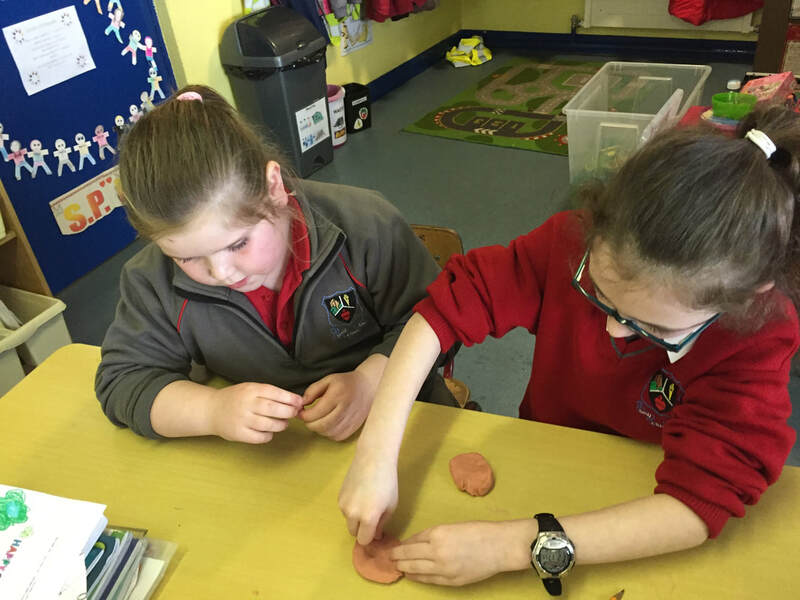 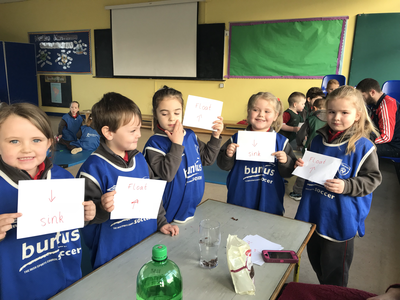 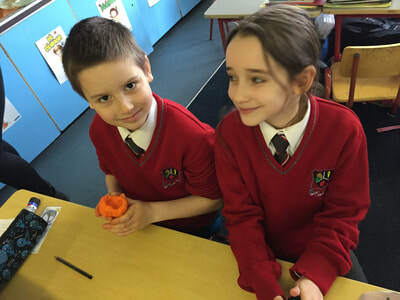 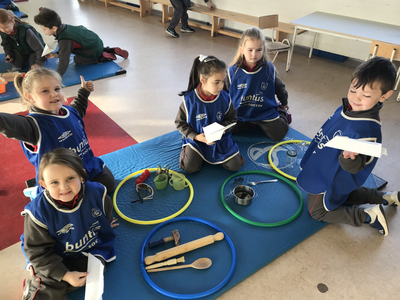 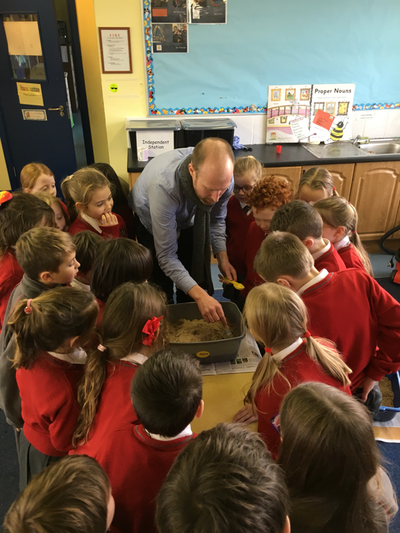 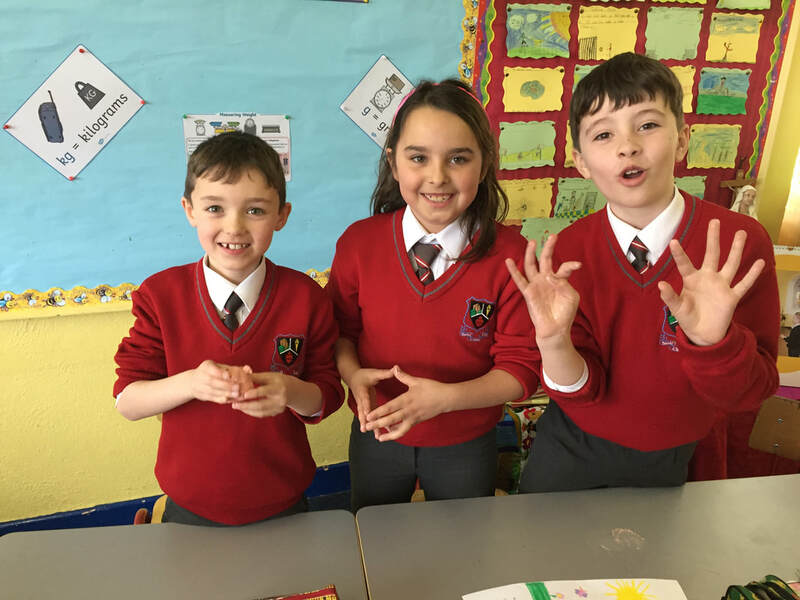 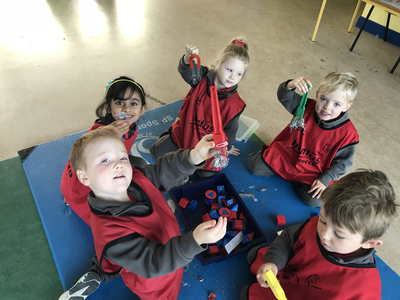 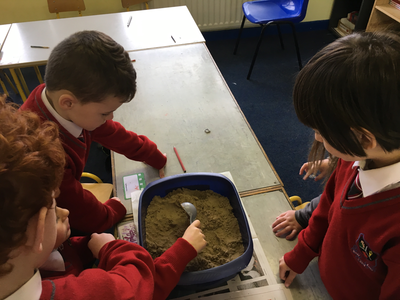 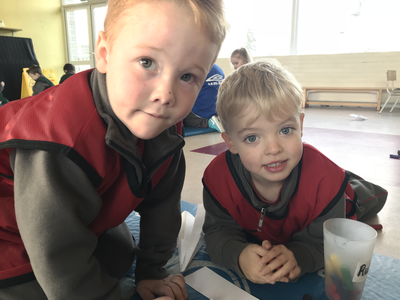 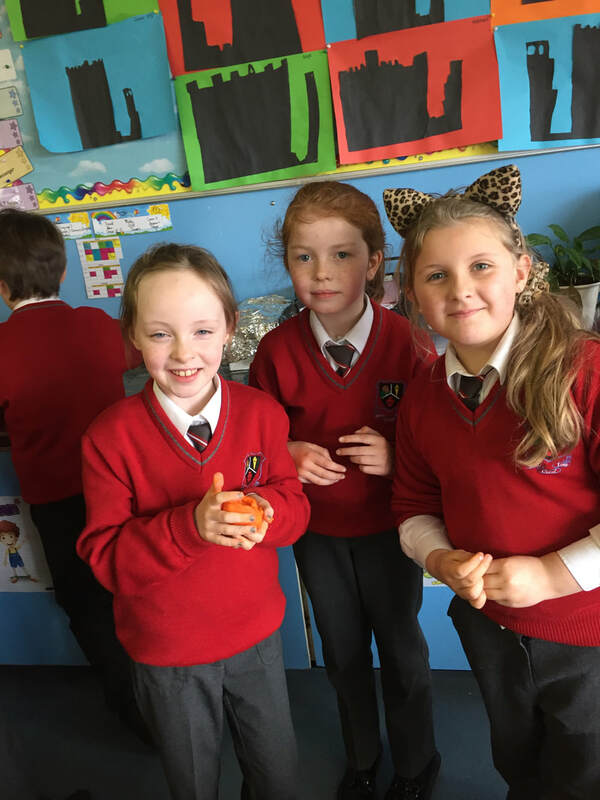 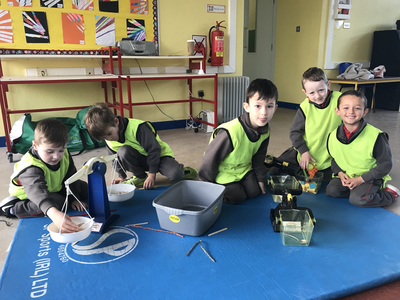 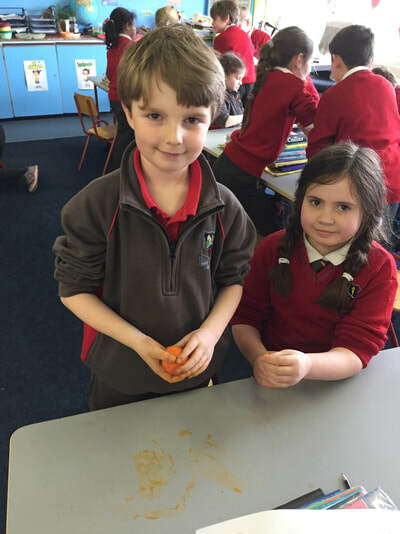 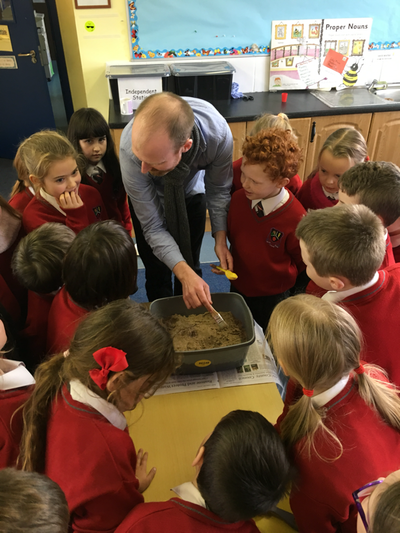 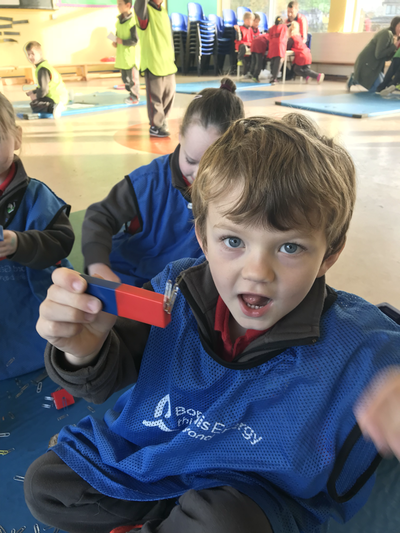 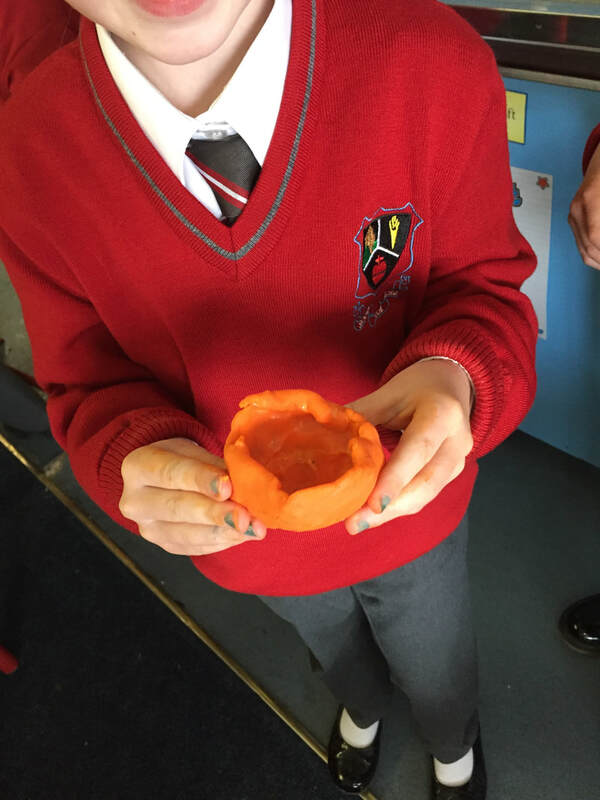 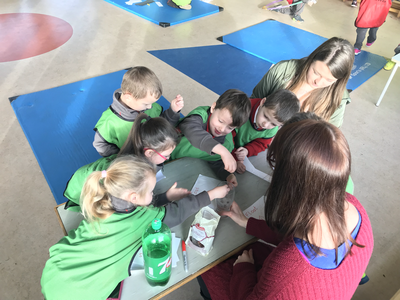 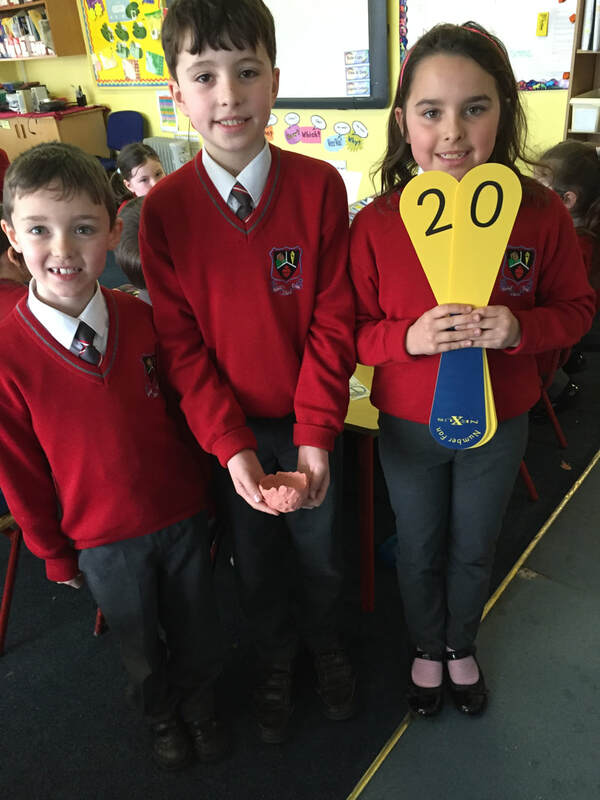 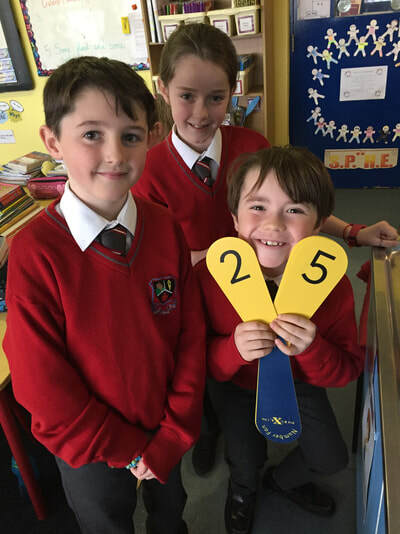 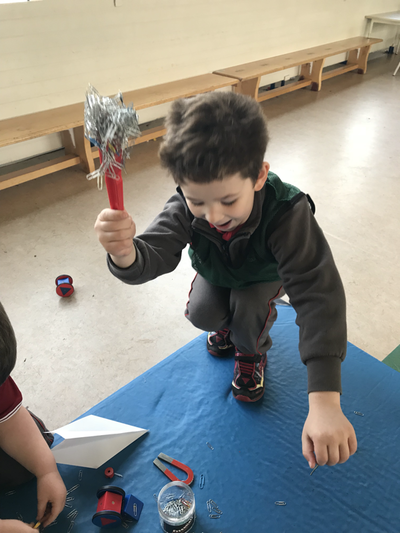 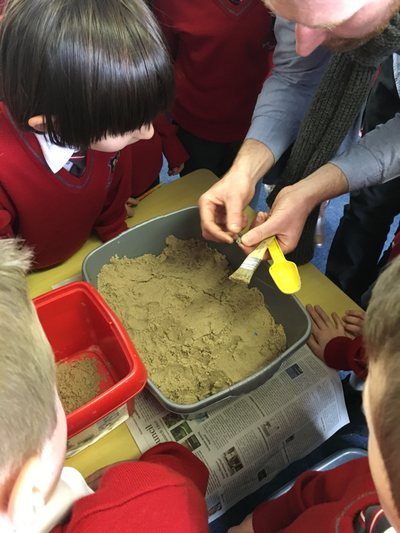 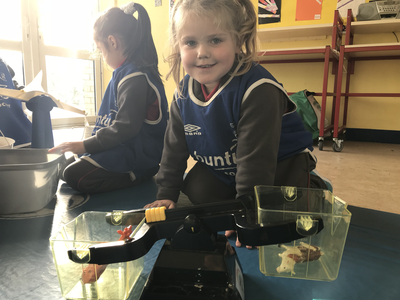 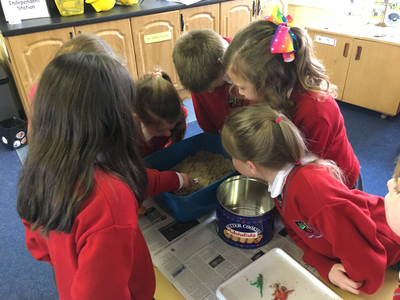 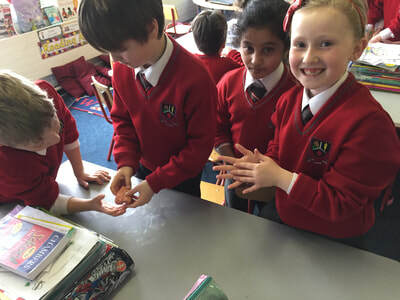 Junior Infants​The youngest scientists in the school took part in seven fascinating science experiments and activities in the halla. They experimented with magnets and weighing scales. 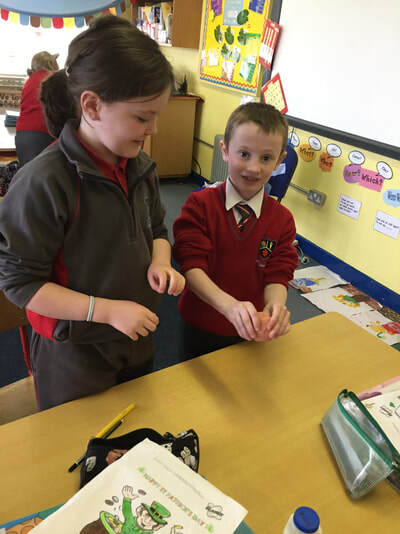 Slopes and friction were tested using dinkies on cardboard, tin foil or ridged slopes. 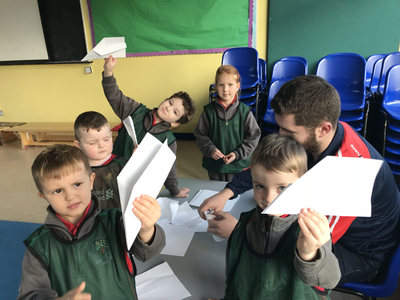 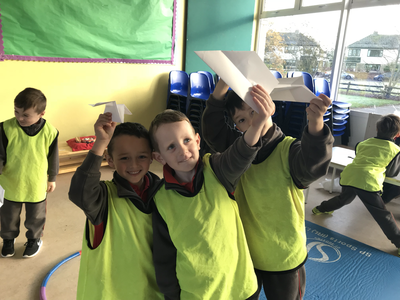 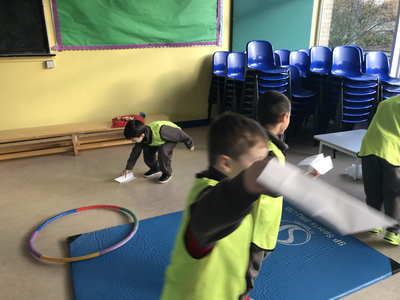 They investigated aerodynamics by designing and making their own paper aeroplanes. 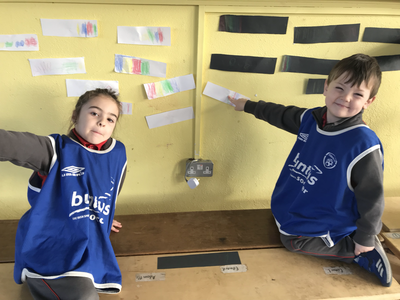 They experimented with light and colour by testing the effect of drawing on black or white backgrounds. 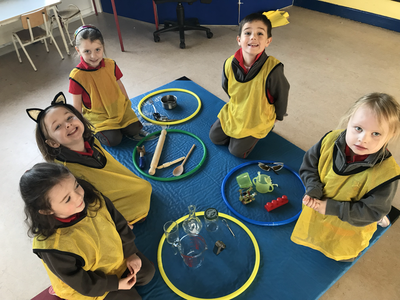 Various everyday items were sorted by identifying what they were made from: wood, metal, plastic or glass. 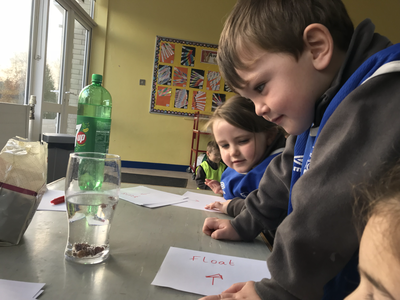 Finally the children had great fun testing whether raisins float or sink in 7Up- what do you predict?